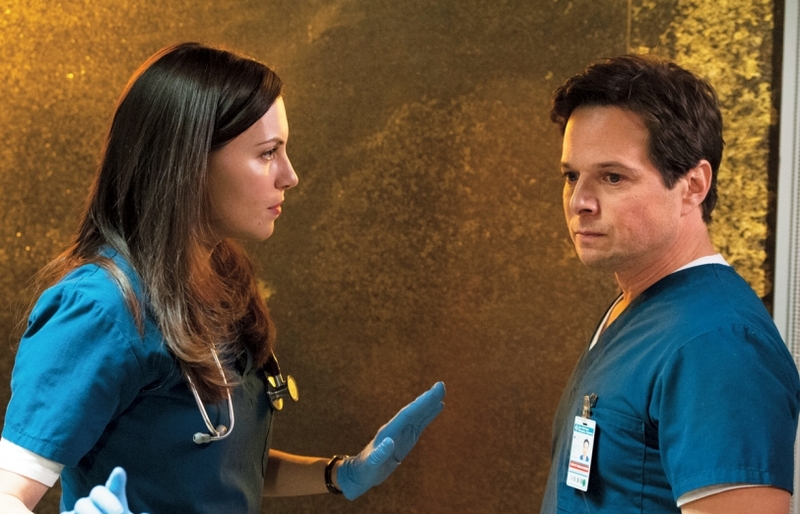 When Dr. Scott Clemmens (Scott Wolf) first showed up on The Night Shift last season, it was as the third side in a love triangle featuring maverick doc TC Callahan (Eoin ­Macken) and Dr. Jordan Alexander (Jill Flint). "You didn't see a lot of Scott at his best, frankly," says Wolf. But now that Jordan has finally made her decision (she picked TC), and Scott has settled in to his new job as head surgeon, we're about to see a lot more of his good side–starting tonight, when he valiantly helps Jordan out of a bind. "She faces something incredibly scary," Wolf says, "and she doesn't want to burden TC with it. Scott makes her feel safe, which makes him feel valuable." Being Dr. Dependable has other perks as well: Scott will get his first protégé when Paul (Robert Bailey Jr.) becomes his surgical intern. "He gets to be a source of strength and clarity for Paul," Wolf says. "It's a definite step into new territory."